2 Day Yangshuo Escape for those seeking a relaxing, scenic tour! ​Join our team for this relaxing 2 Day Yangshuo Tour around Yangshuo's iconic scenery and attractions! The Quick Yangshuo Escape is a perfect choice for visitors looking to see and experience the main highlights of Yangshuo over a two day visit - an ideal choice for a quick visit or weekend escape! Yangshuo Railway Station is closest to Yangshuo - we can assist with ticket purchase if this is a requirement for your departure. 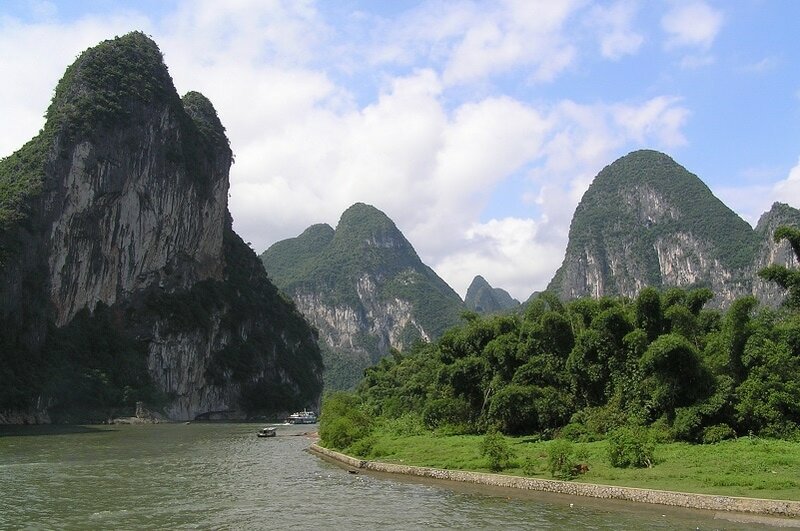 Arrive into Guilin the day before your tour is scheduled to begin as the Li River Cruise departs from Guilin's Pier (which is closest to Guilin City compared to Yangshuo). Meet your tour guide in the morning and travel to the Guilin Pier, which is located approximately 45 minutes away from Guilin. Upon arriving at Guilin Pier, board the Li River Cruise (4 Star Deluxe Boat), where you will have reserved upper deck seats on-board. The cruise from Guilin to Yangshuo takes approximately 4 x hours and includes a Simple Chinese Buffer Lunch on-board during the cruise. 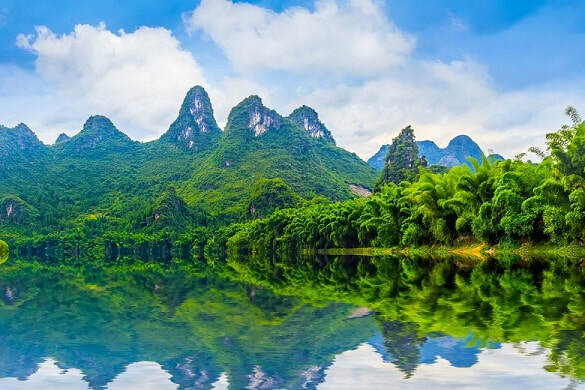 Upon arriving into Yangshuo, disembark the Li River Cruise and explore West Street, which is located alongside the Li River and Yangshuo Pier. Depending upon how much (or little) time you'd like to spend at West Street, afterwards you'd then explore the Yulong Valley Scenic Area either via walking, electric scooter, bicycle or shuttle/private van. 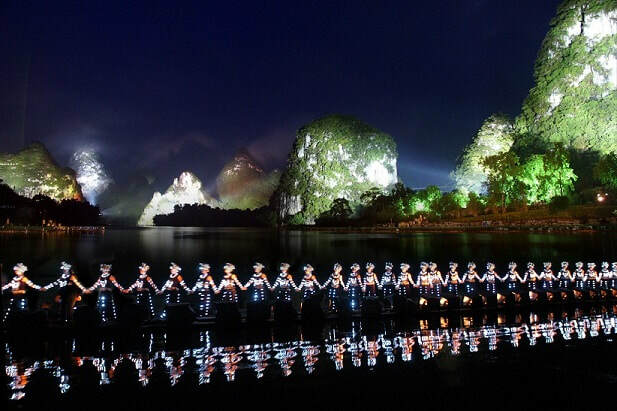 Begin the morning by traveling to Yangshuo's largest limestone cave - Silver Cave. Visitors enter Silver Cave and are amazed at it's spectacular stalactites and stalagmites throughout cave. This cave is considered to be one of the best caves in Guangxi Province and provides visitors an insight into what's underneath the karst mountains. Afterwards, experience a Chinese Cooking Class - where you will visit a local market to select ingredients and learn how to cook up to 5 different local dishes. The cooking class ends with the best part (eating) and tasting your dishes! 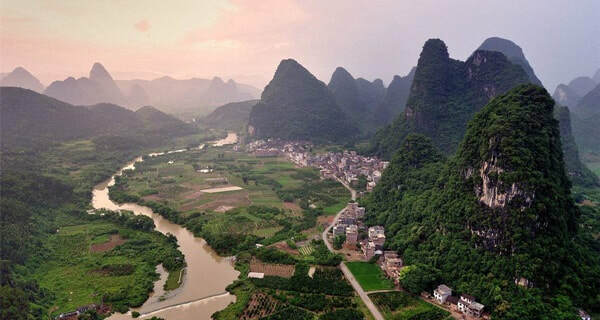 The tour concludes with a transfer back to your Yangshuo hotel, Guilin Hotel or any railway station/airport, depending upon specific departure information. END OF TOUR.